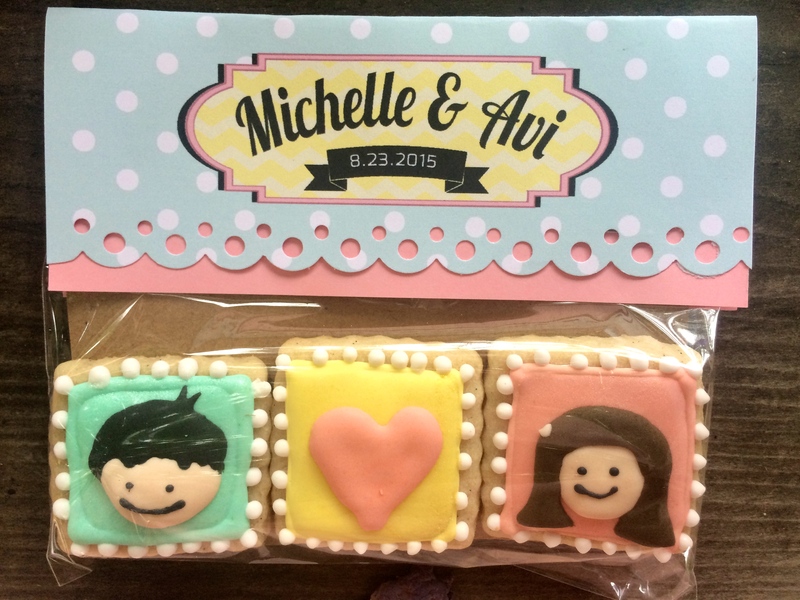 Cute little sugar cookie faces made to look vaguely more-or-less like the bride and groom. 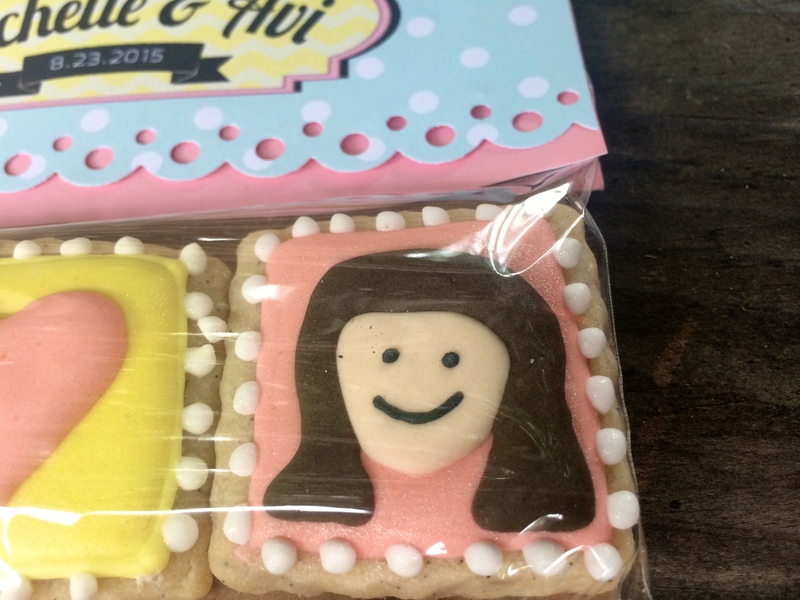 These little cookies were super simple AND super cute. Look at that adorable grin! They were made extra special, though, by the fun packaging. Check out the awesome lace punch I picked up! 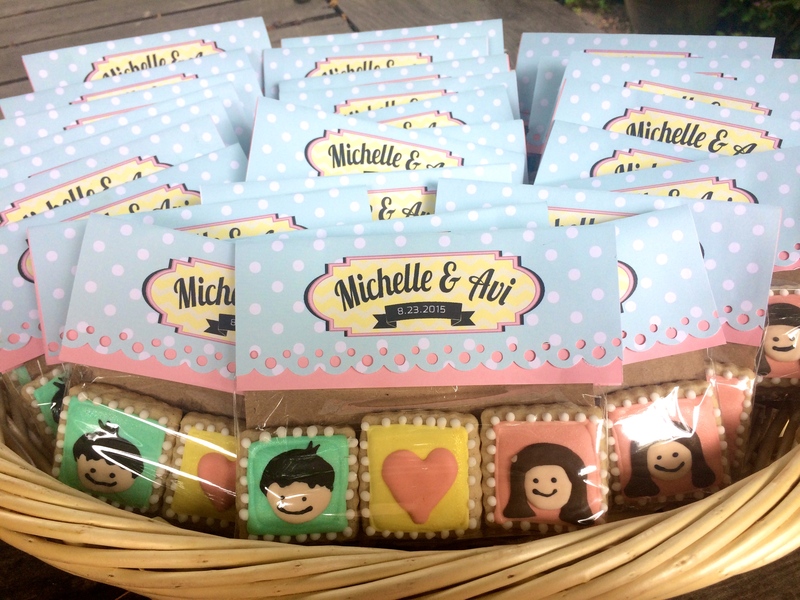 I always feel that the little details help to elevate even easy, simple cookies into beautiful, gift-able party favors. 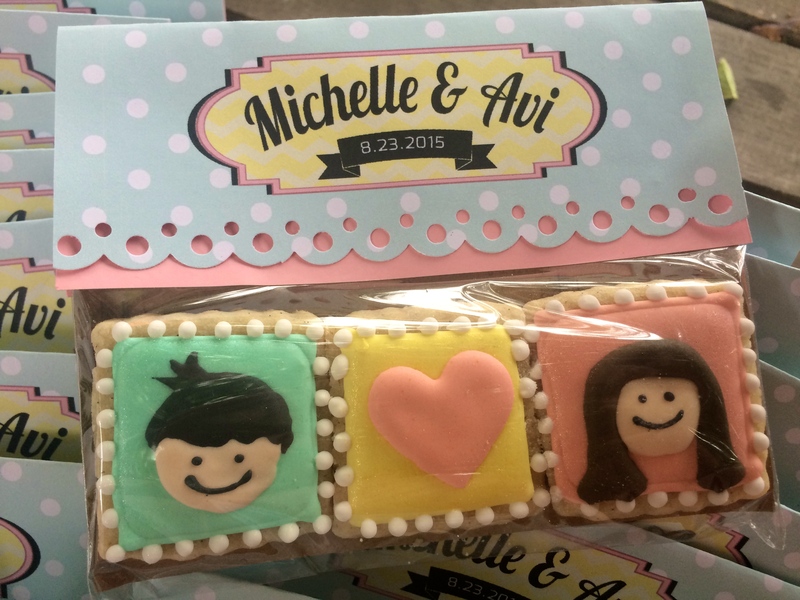 Plus, if you plan ahead, the packaging can be done before you even make the cookie dough, leaving you more time to work on the cookie details. If you look closely, you can see that I also used a light coating of luster dust to give the cookies a bit of a shine and hide any imperfections. 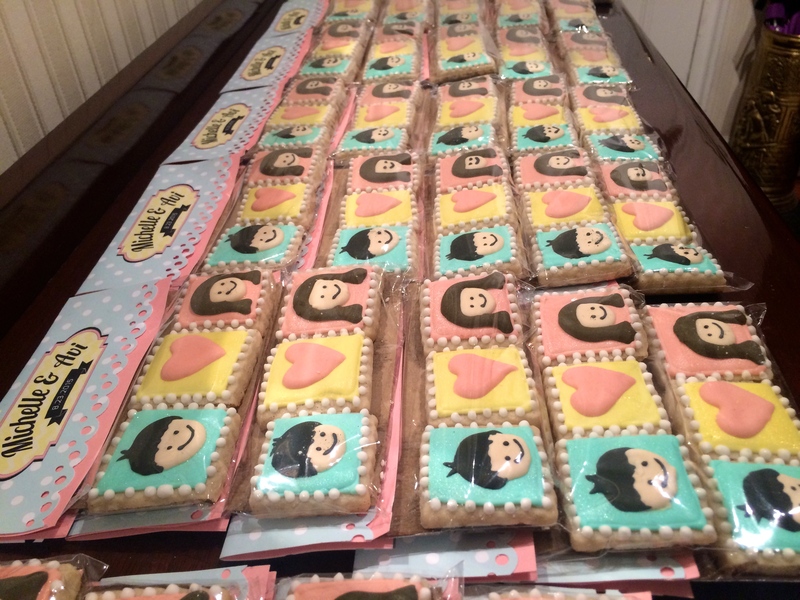 I also gave the faces and the heart texture (see how they’re raised and puffy?) by waiting until each coating was thoroughly dry before piping the next blob on top. We’re talking overnight, here. 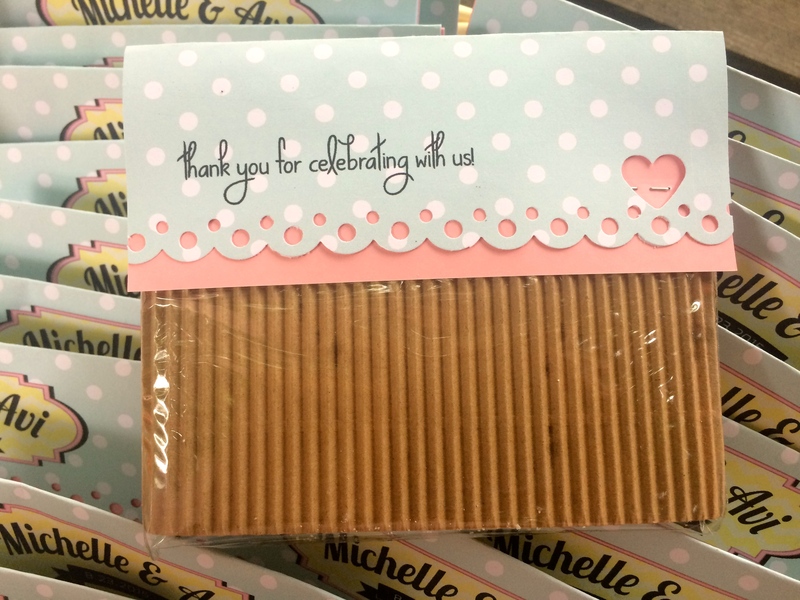 You can see above how the folded over pink under layer was attached to the bag of cookies (and the cardboard backing) with a stapler. Then, I glued the polka-dot layer over to try to hide the staples. The front looked better because I didn’t have to worry about the heart cutout butting through and giving me away! 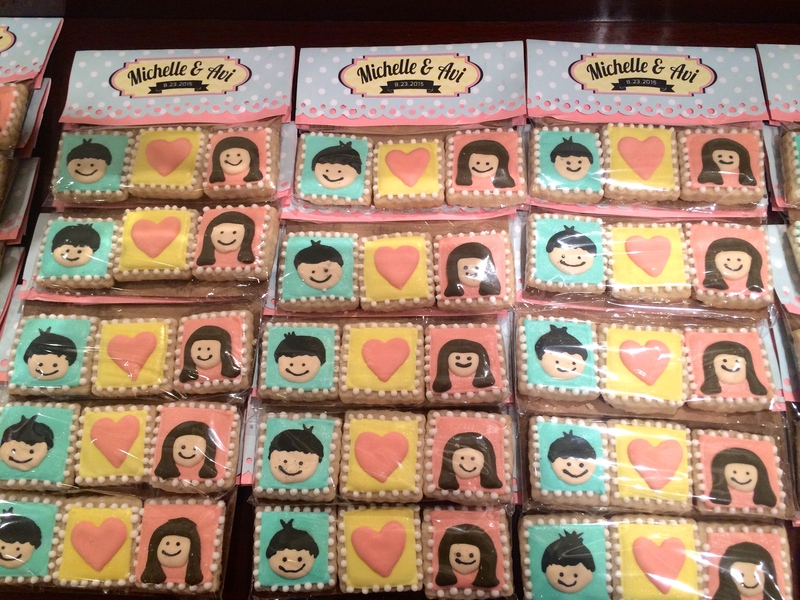 The cookie squares were each only 1″x1″, but even so, they barely fit into the bags. All lined up on the table, reach for snatching! 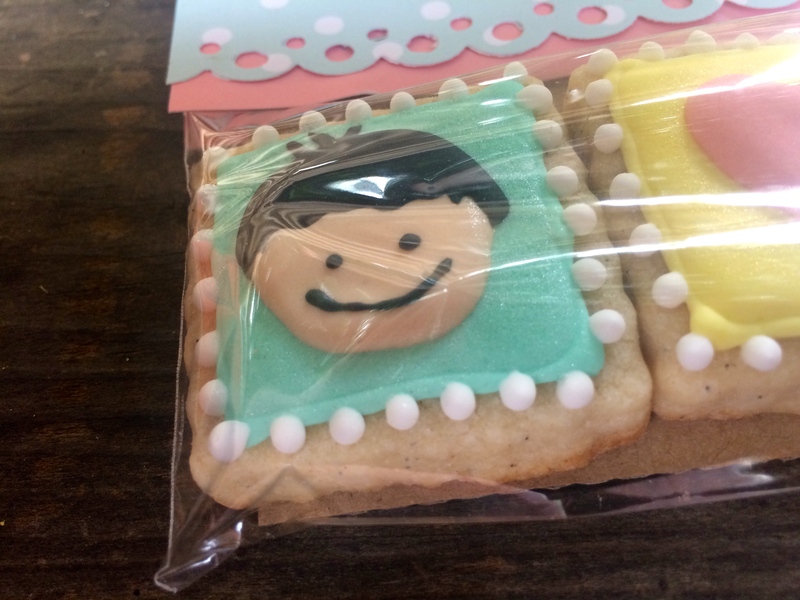 Too cute to eat? Nah, go ahead and bite their faces off.